We all have the same 24 hours in a day as songwriters like Taylor Swift, Pharrell Williams and Macklemore and Ryan Lewis (pictured), so how come they are able to turn out so many hit songs on a regular basis while other writers can’t? 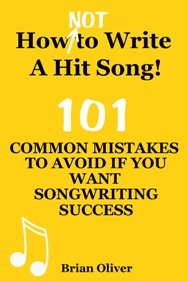 One reason, it seems, is that some writers may have the talent to write hit songs, but they lack the determination, focus and self-discipline to make it happen. Diane Warren, one of the most successful female songwriters of all time, says she spent 20 years writing six days a week, 10-12 hours a day, before she felt she could finally take the occasional weekend off! Experienced songwriters know how important it is to challenge yourself to write something every day—even when you don’t feel like it—otherwise potential hit songs will never get written. Establishing a consistent writing habit—making it part of your daily routine—will boost your creativity and productivity, and lead to better songs. Of course, no two creative people are the same in the way they find their inspiration. That’s why it is so important to identify the most creative time of day for you. Some people like to write something as soon as they wake up in the morning, when their mind is fresh and full of ideas. Some work better late at night. 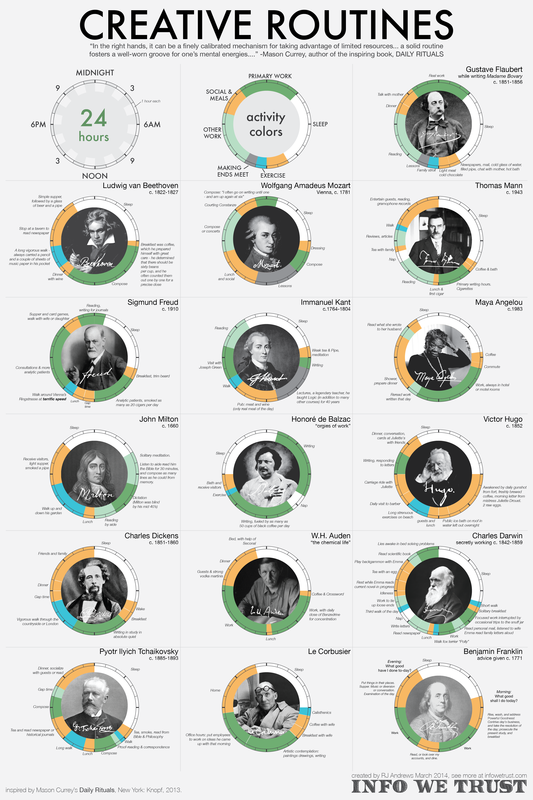 The fascinating infographic below—created by Info We Trust—shows the daily routines of some of history’s most creative individuals—including composers, painters, writers, scientists and philosophers. It is based on Mason Currey’s book, Daily Rituals, in which he investigated the rigid daily rituals that legendary creative figures practised in order to carve out enough time, every day, to work their craft. How does your daily writing routine compare with the creative masters below?